Records and information about me. While digital dossiers contribute to online identity, remember that they aren't complete identities in and of themselves! For more information on cultivating your digital identity, visit our feature. Not quite - a digital dossier might contain your work, but it won't be entirely under your control. Check out our feature on your e-portfolio! This is a broad definition, but accurate - a digital dossier contains records and information about you (and starts before you're born!). It may not be permanent or centralized - in fact, it's almost definitely not, and there are likely parts of it you're not aware of. Do you know what your digital dossier looks like? I know what it looks like, to some extent. You may think so - and it's possible! But keep in mind your digital dossier is made up of documents that you may never have seen. The upside? If you can't find it, it's likely others can't either. You should! Your digital dossier is the sum of the information available around you - not your social media profile, perhaps, but pictures, records, and work you've done that's available to others. It can be tough to get a handle on everything that's out there - but if you're aware even generally of the material in your dossier, then you've already got an advantage. Do you think digital dossiers contribute to online identity? Nah - no one pays attention to that sort of thing. I'm not sure - how would they? You may think so - but your dossier might come under scrutiny from potential employers or admissions officers, not to mention the general public. To find out more about how hiring teams use your digital profiles in hiring decisions, check out our work feature. What you post online affects how you're perceived - this is important in a number of situations, not the least of which is job-hunting. To find out more about how hiring teams use your digital profiles in hiring decisions, check out our work feature. And you're right - the material that makes up your digital dossier will follow you throughout your life. It's good to be aware of what's out there. To find out more about how hiring teams use your digital profiles in hiring decisions, check out our work feature. 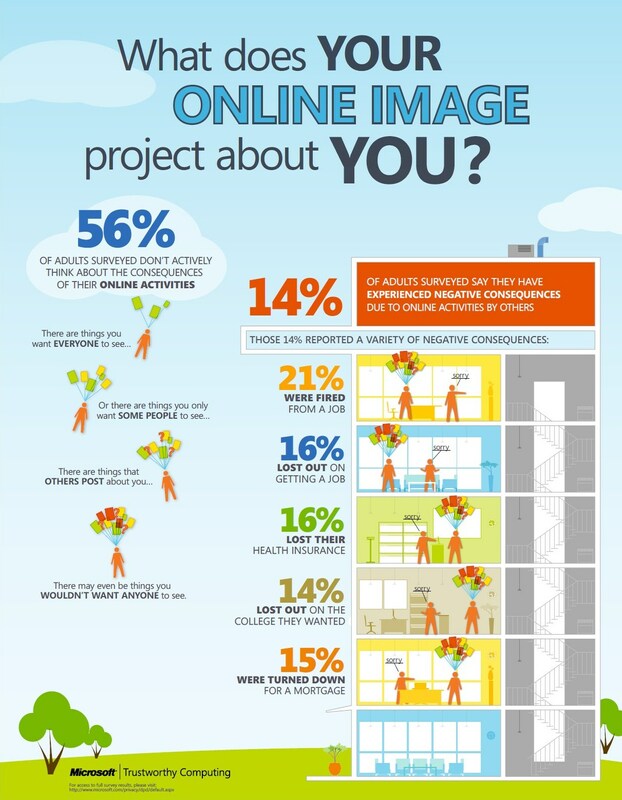 Do you use your digital dossier in building online identity? Only to some extent - it's not a major tool. I try to leverage it wherever possible. You should consider leveraging your dossier where possible. It's helpful to have some degree of control over your dossier. For more information on cultivating your digital identity, see our page on work etiquette. Fair enough! Be sure to stay aware of what's out there and how it might affect your identity. For more information on cultivating your digital identity, see our page on work etiquette. Smart move - but remember that your dossier's not the only tool in your identity-building arsenal! For more information on cultivating your digital identity, see our page on work etiquette. As the video illustrates, all of us (especially those born in the last 20 years) will have some form of digital dossier. As soon as we are born, information starts being recorded about us and generates “digital tracks”. Some of the information in our dossier will be publicly accessible and some will be private and protected by the agencies who generate the records or information. Some of the information will be collected without our knowledge or direct consent, while other pieces of information will be recorded by us on purpose. In the digital age everything from sonograms, to marriage licenses, to photos are kept in digital repositories. Canada is even slowly rolling out a Digital health Initiative whereby all medical records will be available online. Often times online we accidentally reveal more information about ourselves than is actually necessary, for example when we allow cookies to be installed on our browsers, or when we provide information to companies that is not mandatory. Do you know what’s in your digital dossier? Do you know how to manage the parts of your dossier that you have control over? Be cognizant when filling out online forms, usually only things marked with an asterix are required. By providing more information than necessary you are impacting the scope of your digital dossier. What does a Google search on your name tell you about the kind of info that is publicly available about you? Are you OK with what you find? If not, you may want to review the Protect section of this site. While it is difficult to see your entire digital dossier, there are ways for you to keep track of your online profile. The Huffington Post recommends using tools like Google Alerts, Mention, Tweetdeck, Hootsuite, or Google Dashboard to track your name across the web. Who will manage your digital dossier when you die? There are companies (like Legacy Locker) that will take this on for a fee. Is this important to you? Remember to always consider how what you post online might impact other people’s digital dossiers. Your ‘digital dossier’ is comprised of the information about you available online and is under construction long before you begin to post content. What impact do you think that has on your identity formation? Do you find it interesting that digital dossiers continue to grow even after death? Your article, “Your Digital Dossier | Digital Tattoo” was indeed truly worth commenting on! Basically desired to point out you did a fantastic work.